Finding a reliable and affordable plumber can be difficult. But for homes and businesses in Lynbrook and surrounding areas, it’s never been easier. Urban Tide Plumbing offers state of the art solutions that you can count on now and in the future, using high-tech equipment that provides efficient and effective results. Whether you need to find the source of water leakage in your home, organise general maintenance for your plumbing system or in need of a repair or installation, our plumbing experts in Pakenham, Narre Warren, Berwick, Clyde North & Cranbourne are here to provide you with exceptional customer-service and unparalleled solutions. With an emergency plumber available 24/7, we are the experts to call when you have any plumbing issues – no matter how big or small. So, if you are looking for an outstanding plumber in your area, look no further than Urban Tide. Get in touch with us today to organise an emergency service or a free quote. Searching for the right team to clear blocked drains in your Lynbrook property? Urban Tide has the knowledge, experience and equipment to quickly and easily resolve this issue. On top of our general repair, we also provide you with comprehensive residential and commercial cleaning services to ensure your home or business looks as good as new once we are done. Using advanced equipment like hydro-jet technology, we ensure you are satisfied with the results from end-to-end. Whether it’s a blocked toilet, shower, sink or sewerage system, Urban Tide Plumbing’s experts can unblock your drain quickly and effectively every time. On top of drain blockages, our team are dedicated to offering a full-service plumbing experience. 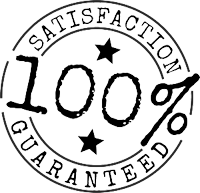 That means whatever problem your dealing with – no matter how big or small it might be – we can get the job done to a high standard, for a very competitive price. We don’t believe that your plumbing should cost you a fortune or blow your budget – especially because the biggest problems can often pop up when you least expect it. That’s why we always offer the most affordable prices possible without compromising on the overall effectiveness of the service. Don’t let plumbing problems destroy your property. Instead, call Urban Tide Plumbing on 0411 218 654 for more information on our complete plumbing and blockage clearing service. Our professional staff can help you book a quote or organise for our emergency plumber to come out to see your property if needed.